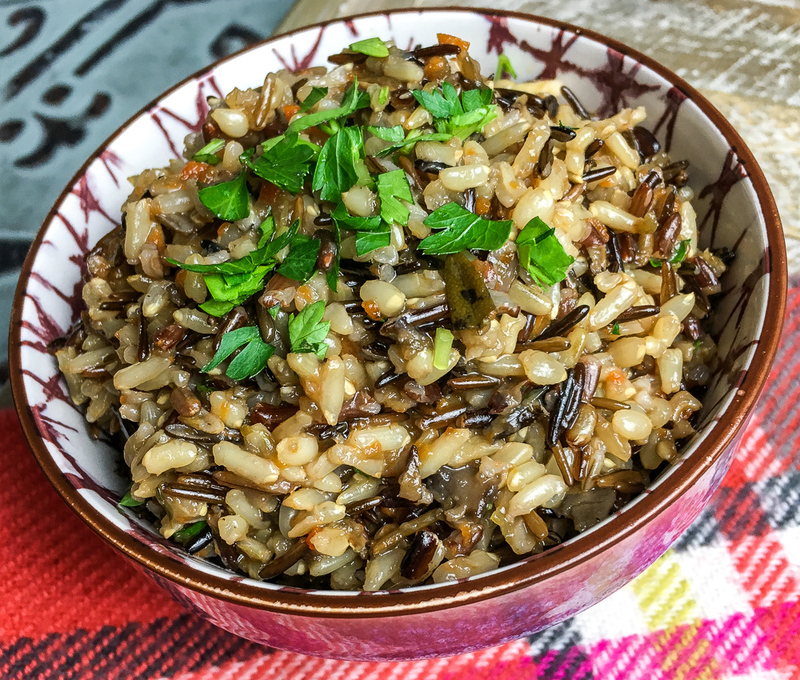 Looking for an easy recipe for Wild Rice Pilaf? This rice pilaf recipe is made in the Instant Pot but can easily be made using the stove. 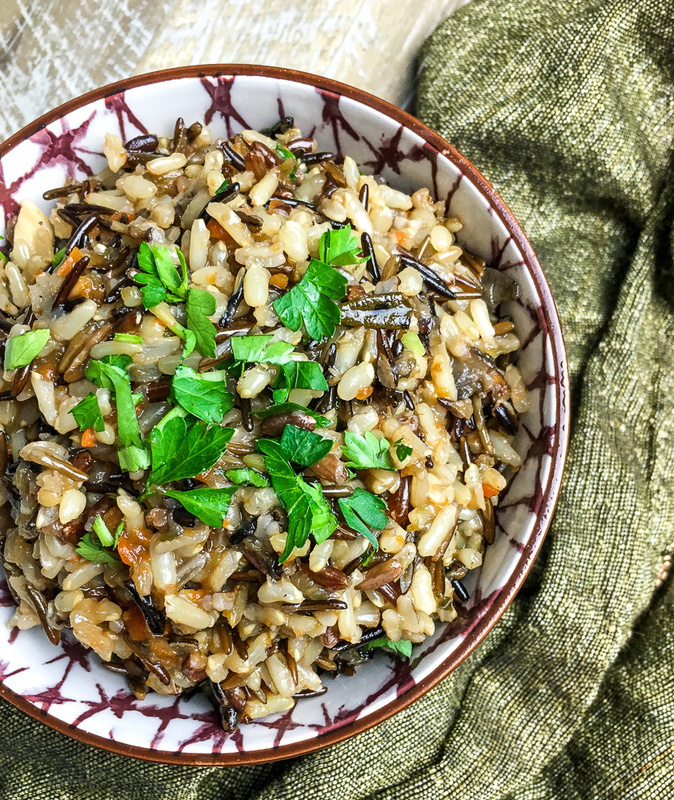 If you love wild rice pilaf, you are going to want to make this recipe. I love rice pilaf. I would order every time it was on the menu when we would go out to eat. I like making it at home but I hate standing over the stove any longer than I have to. That is when I decided to use my Instant Pot to make this Wild Rice Pilaf. Rice Pilaf is made with rice. However, when making rice, it is usually cooked with water, even if that is seasoned. 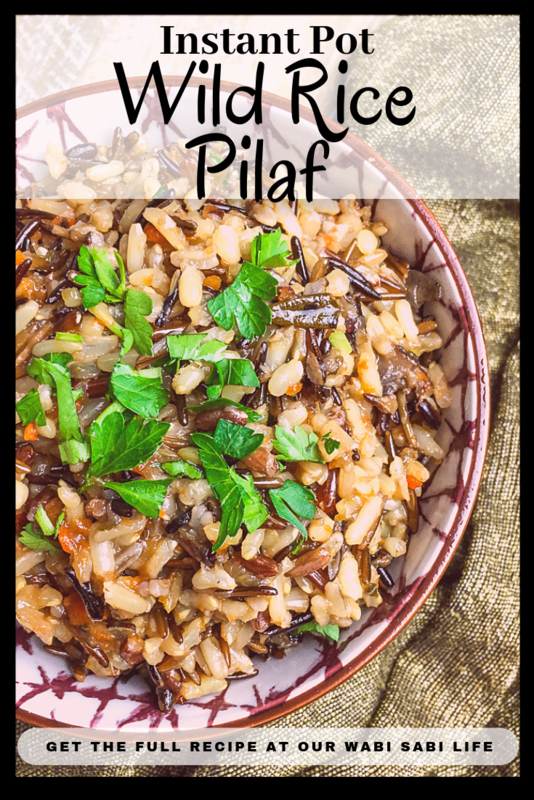 Pilaf is usually rice, sometimes other grains, that is cooked, usually baked, in stock or broth. Is Rice Pilaf Gluten Free? The answer will vary depending on what is in the rice pilaf. However, in this case, yes, rice pilaf is gluten free. When making this wild rice pilaf, you are using a wild rice mixture, and no other grains so you do not need to worry about gluten. What to Serve with Rice Pilaf? How Many Weight Watchers Point in Rice Pilaf? Most of the ingredients in Rice pilaf has 0 points. The bulk of the points with this recipe comes from the rice and the oil. The total Weight Watchers points in this Rice pilaf is 4 points per serving. 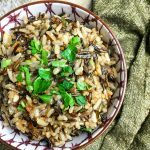 How to Make Wild Rice Pilaf? Add olive oil to Instant Pot® and select the Sauté function. Set to high and once the display reads “hot,” add carrots, red onion, celery, Portobello mushrooms, and minced garlic. Season with salt and black pepper, to taste, and cook, stirring continually, until the veggies soften and the mushrooms start to release their liquid, approximately 5 minutes. Turn unit off. Add wild rice, broth, and fresh rosemary and stir to combine. Season with additional salt and black pepper, if desired. Add the lid and set the pressure valve to “sealing.” Select the “Manual” cooking option on the high setting and set cook time to 15 minutes. When done cooking, allow the pressure to release naturally for 10 minutes, and then do a quick release for any remaining pressure. Turn the unit off and let sit for 5 additional minutes. Remove lid and fluff the rice with a fork while stirring in one tablespoon fresh parsley and the toasted almonds. Serve immediately with the remaining chopped parsley on top. Enjoy! Add olive oil to Instant Pot® and select the Sauté function. Set to high and once the display reads “hot,” add carrots, red onion, celery, Portobello mushrooms, and minced garlic. Season with salt and black pepper, to taste, and cook, stirring continually, until the veggies soften and the mushrooms start to release their liquid, approximately 5 minutes. Turn unit off.